New fund company says it can track the S&P 500, but limit losses to about 12.5% while capturing upside up to 15%. Joseph Halpern thinks he may have built a better mousetrap through options. Even after six consecutive years of robust stock market gains, investors remain scared and frustrated. The fright stems from fear of the next market crash since the last one, after the failure of Lehman Brothers, was a doozy, slicing more than 38% off the S&P 500 in 2008. And the frustration comes from not having participated in the post-Lehman market gains, either because scared investors hid their wealth in their mattresses, put it in zero-yielding cash, tried to mitigate losses through all sorts of costly or suboptimal investment schemes, got in late or never got back in. Behavioral finance studies have long shown that investors experience the pain of loss to a far greater extent than the pleasure of gain. Investors are therefore attracted to products that offer downside protection. But in practical experience, those strategies typically carry their own risks. 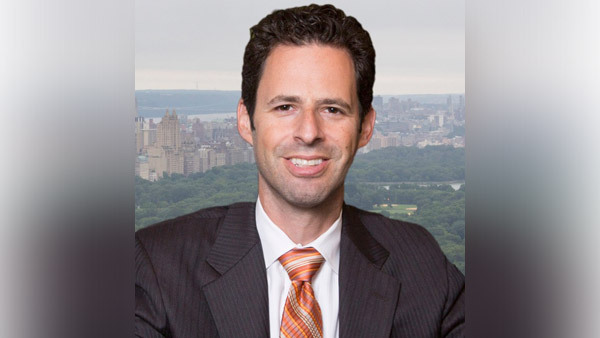 Joseph Halpern, founder and CEO of Exceed Investments, knows those risks well. The 20-year Wall Street veteran headed Lehman Brothers’ exotic derivatives commodities business, was involved in its structured products and played a role in the post-bankruptcy global bank settlements. He thus understands better than most that a safety-seeking investor who buys a 3-year structured note knows in theory exactly what he will get when the contract is up — that is, if the guarantor is still in business. “Lehman Brothers issued tons of these notes,” Halpern tells ThinkAdvisor in a phone interview. Investors in 2008 learned that the creditworthiness of a structured note depends on the strength of the sponsor and that sometimes an issuer is unable to discharge its liabilities. Moving up the risk spectrum away from “guaranteed” investments such as Lehman’s structured notes, investors seeking downside protection could put money in cash, but faces the obvious problem that there is no upside to cash — and indeed cash pays a rate of zero or possibly less than zero depending on how one reckons inflation. Neither are bonds risk-free; their real return may be negative on the short end of the maturity spectrum and their risk high on the long end; what’s more, their secular bull run is getting long in the tooth, their volatility has increased and their expected return does not reach the level of equities. Stocks, of course, offer high expected return, but suffer correspondingly high risk. And while many investors figure they can at least trim portfolio costs through low-fee index funds, it is precisely such funds that will programmatically swoon when the market crashes. That’s where active managers come in and argue that they can offer investors greater downside protection against market falls, and indeed studies show the best managers do indeed offer this benefit. But how do you find such a manager in advance, and are the extra expenses worth the cost? Maybe alternative investments like master limited partnerships — meant to offer some zig while a portfolio is zagging — hold the solution. But then again, investors saw that a year like 2008 offered no refuge from the carnage. A possible in-between approach — a method of gaining the advantages of stock returns while limiting their risk — is through options, a form of insurance against losses for which investors pay a premium. The premium of course subtracts from your return — a cost borne whether the options expire worthless or not. A host of other potential problems best the options investor, particularly in the area of renewals, as their price rises and falls based on a range of factors including rising market volatility. In other words, an investor needs to know what he’s doing to make it worthwhile. Enter Halpern with his novel idea. The veteran options trader thinks he’s figured out how to accomplish that elusive better mousetrap — a way to capture high returns, limit downside and avoid counterparty risk and manager risk. “We’ve created an index in partnership with the Nasdaq [the Nasdaq Exceed Structured Protection Index, or Exprot] that provides S&P 500 exposure while targeting a maximum downside loss of approximately 12.5% and targets a maximum upside gain of approximately 15%. The significance of these options is that, unlike structured notes or over-the-counter securities, the options are cleared through an exchange, which serves as a guarantor to parties to a trade that their obligations will be fulfilled. “We’re essentially buying downside puts, which contractually obligates the buyer or seller of the put to deliver stock,” he says. So if a company like Lehman declares bankruptcy, “in a listed environment … I have the right to sell … I don’t face off with you [the bankrupt firm]; everything goes through OCC [Options Clearing Corp.],” Halpern says. The Exceed Investments CEO calls his approach “defined outcome investing,” which entails investing with pre-set protection and return levels. “It’s a wealth preservation vehicle that allows you upside opportunity,” he says. What’s new is taking the ability to achieve a controlled investing experience in a mutual fund format that makes it convenient for retail clients. Exceed’s new mutual fund based on the Exprot index debuts April 14. “Other products give you that definition, but no other product is giving it in a mutual fund; a fund itself can’t go bankrupt,” says Halpern. Aren’t there other mutual funds that use options? Halpern says a few dozen do, but they do so as actively managed funds — in contrast to Exceed’s index fund chassis. So, with the few funds out there making strategic use of options, “you don’t know what the outcome is. The market could be up 7% and they’re down 3% [or vice versa],” Halpern says. “So you don’t really have a good grasp on how performance is going to match an index. “They’re taking advantage of options [to capture] pricing dislocations as opposed to taking advantage of options’ contractual nature … to get a more defined outcome. People generally … want more consistency; there’s a lot of research around aversions to risk and loss,” he says. The Exceed CEO says his firm back-tested its method to 2001 and had its analysis substantiated by a third party, and the back-test showed the fund would have performed well in the bear markets of 2002 and 2008. Currency Exposure: Hedge or No Hedge?